I would say the Chase is the greatest thing to come out of Steveston since Pajo’s fish and chips and multi-coloured fish windsocks. This five man band has come a long way from the days of playing for friends in backyards but The Chase is still on the boarder of fame and obscurity. After catching the eye of a local production company the band has enjoyed some success in the past six months. The Chase has been busy playing close to capacity filled shows at The Bourbon and The Railway Club as well as opening gigs with this year’s CFOX Seeds winners Venice Queen. In a dim lit nautical themed living room, Jeremy Hankin, lead guitar and song writer for The Chase, creates and records the songs that drive the band towards fame. I was able to catch up with Jeremy and listen to a new acoustic song. The opening line “Why did you walk out my door,” emulated the timeless classic Bob Dylan sound. After telling Jeremy that I wanted to write about The Chase, I asked him if he had a certain message he wanted to propagate through this article. “We rock,” was all Jeremy said. As we both opened up another beer we reflected on the band’s first road show in Nanaimo two years ago. The Chase was at a peak in their early career and expectations were high. 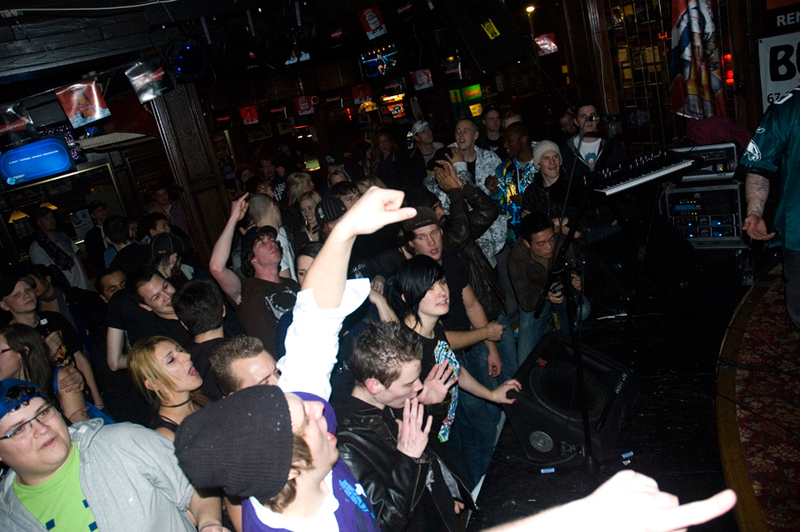 The band had just finished third place in the Western Canada round of the Emergenza Music Competition. The Chase has come a long way since those doldrums days in Nanaimo. The band sounds better than ever with a repertoire of new songs, new style and new member, Mischa Lowenstein, the fifth Chase member on rhythm guitar.